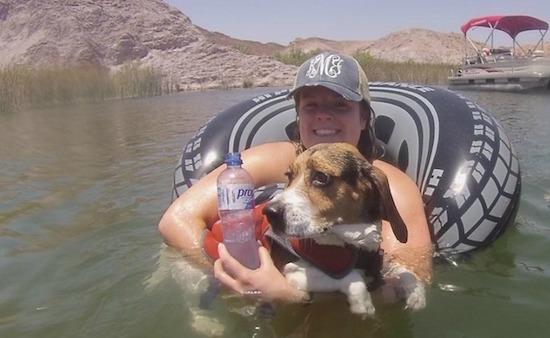 Waterskiing, wake boarding and fishing were things Kelsey McClain lived for. “Pretty much anything to do with outdoors, she loved,” said McClain’s mother, Jennifer McClain. But she also died by the outdoors. In August 2015, McClain celebrated her 24th birthday at Fisher’s Landing, a resort along the Colorado River. She felt fine when she got back home to El Cajon, California, but that changed a few days later. “With what she described as a pounding headache,” her mother said. Doctors were baffled. They sent McClain’s spinal fluid to a lab at UC San Diego, and what they discovered halted her organ donation. “They came back very quickly with it. it was a parasitic amoeba,” Jennifer said. McClain was stricken by Naegleria Fowleri, a brain eating amoeba found in freshwater rivers, Hot Springs and lakes. The amoeba enters through the nose, according to health experts. There have been 133 reported cases in 50 years. Three people survived, including an Arkansas girl who underwent months of rehabilitation. Prevention – The CDC says the only way to fully avoid the risk is to avoid water related activities in warm freshwater. If people choose to swim, they should use swimmers nose clips or hold their nose shut while going underwater. Those who use Nettie Potts to clean their nostrils should boil water and then let it cool. The CDC has fact sheets for best ways to prevent catching the amoebas. Treatment – There is no known treatment for killing the amoeba. However, an experimental breast cancer drug called Miltefosine has been shown to kill the amoeba in the lab. Doctors say early detection is key. Graduate Students Confused – What About Tom Brady’s Balls?